The following piece was written to honor Martin Luther King, Jr. Day (being celebrated in America today) and to raise awareness for West Papua. 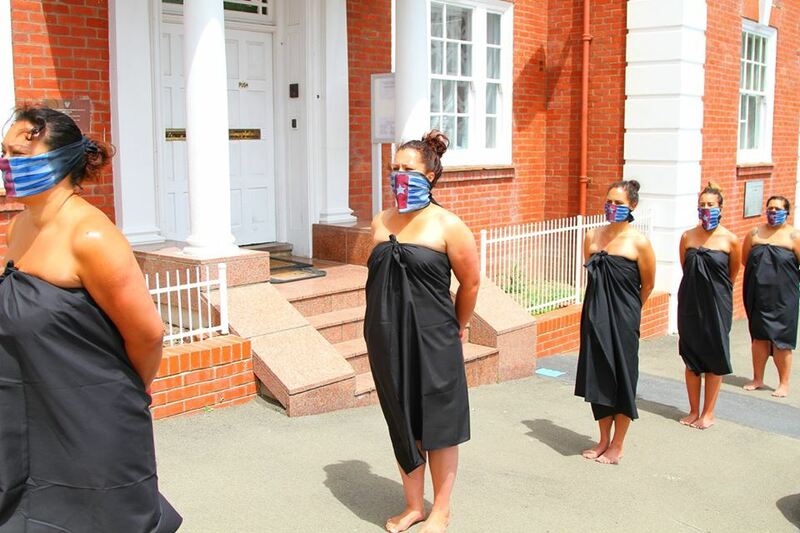 It was also written as a reflection on the work organized and performed by Oceania Interrupted, a collective of Māori and Pacific women raising awareness for issues affecting our Pacific region. Benny Wenda is an independence leader for West Papua, currently living in exile in the United Kingdom. This creative piece is an imagined dialogue between Martin Luther King, Benny Wenda, and myself. This matters. West Papua matters! 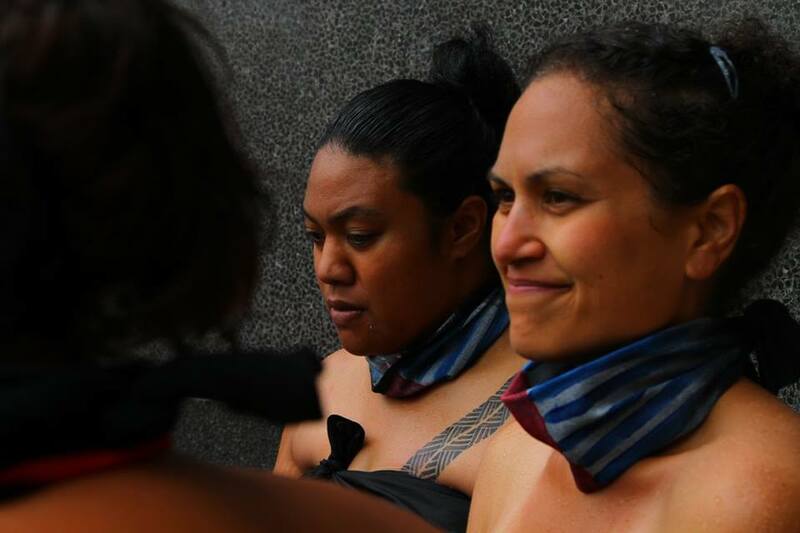 So, I take one step forward, my hands bound, my mouth covered in their flag, my body adorned in nothing but a black lavalava. My skin, mourning. But I find the breeze, kiss the rain, and bathe in spots of sun. Marching, marching. Eyes ahead. There is voice in these actions. Voice in these movements. Our pace is that of sacrifice, of suffering, of struggle. It is slow. But it moves forward, one step at a time. Every step forward is another step towards justice. I want to cry. I want to cry for them. But I will not dress the flag that binds my mouth in tears. I will only wear it with strength. Marching, marching. Eyes ahead. 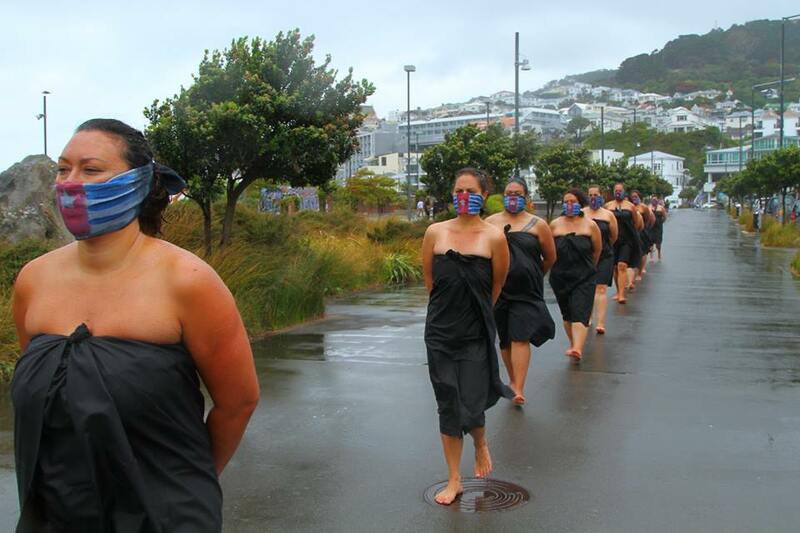 I stand in a line of women, Oceanic women, interrupted. Interrupting spaces, thoughts, actions. Giving space for West Papua: space to learn, space to see, space to feel. I can feel the woman ahead of me, the one behind, our breaths in synch. Marching. We stand for West Papua! Fifteen years. Fifteen years is the amount of time a person in West Papua can be imprisoned for raising their flag. We wear it voluntarily. At home, I can raise my Hawaiian flag everyday; I can wear it on my chest. I can speak of sovereignty, speak of indigenous rights. I am privileged. So, I take another step forward. Marching, marching. Eyes ahead. Every step forward, no matter how small, is another step towards justice. 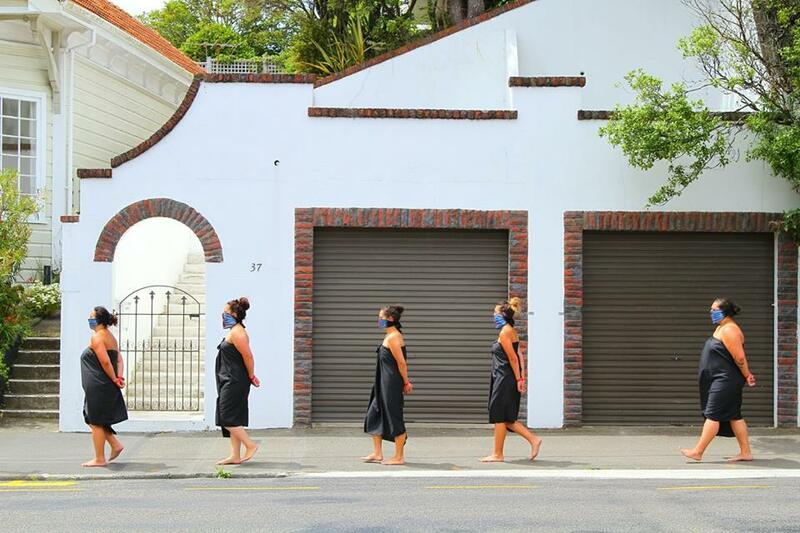 Photo by Tanu Gago and Oceania Interrupted. I think of what his eyes have witnessed: the killings, the rapes, the torture, the imprisonment of his people and I am amazed at his resilience. He limps forward, his leg injured in the bombing of his village. Every step, painful. Every step, suffering. Every step a sacrifice. Every step forward, even if crawling, is another step towards justice. Marching, marching. Eyes ahead. There is voice in these actions. Voice in these movements. We cannot be silent. Silence and absence can be mistaken as consent. I do not consent to what is happening in West Papua. Therefore, I will not be silent. I will not be absent. I will march. We will march, giving voice to those who cannot speak, to those who cannot fight. Therefore, to fight for our Pacific family is to fight for ourselves. Yes we are, Benny. Yes, we are. Marching, marching. Eyes ahead. Every step, no matter how small, no matter how difficult, no matter how scary, is another step towards justice. For more information on Oceania Interrupted, visit their page here. All quotes by Benny Wenda are from here. For more information on Benny Wenda, read his biography here. For inspirational quotes by Martin Luther King, Jr., you can find them here. 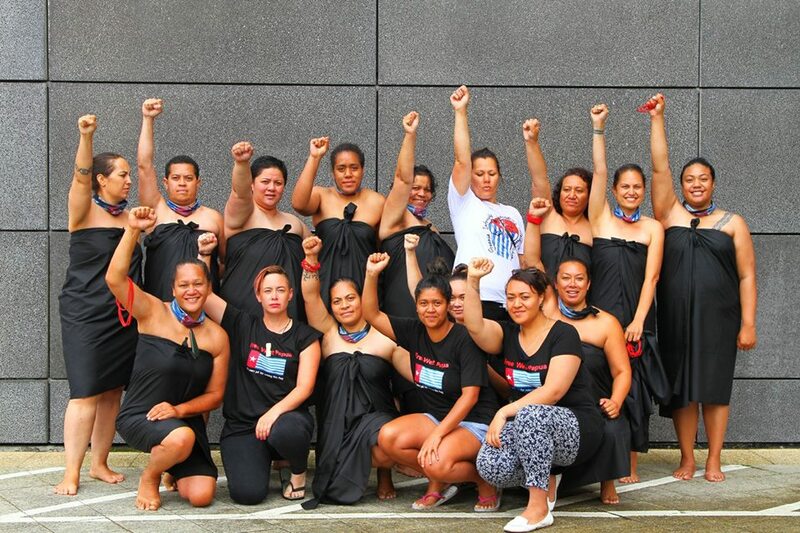 And finally, for more information on West Papua, go to the Free West Papua Campaign page here. Categories: History, Reflections, Uncategorized | Tags: benny wenda, justice, martin luther king, oceania interrupted, pacific, sovereignty, west papua | Permalink.